Our crowd-funding campaign is complete, and I’m so very grateful for all the support from our donors, friends and supporters! Friends and fans gave us hundreds of shares on Facebook, Retweets on Twitter and Likes on Instagram. Please continue to “share” our project with your friends and family, and remember to tell them that even though our formal crowd-funding campaign has ended, we are still taking donations. How do you share, you ask? Share anyway that is easy for you. (1) Share our Website. They can click the gold Donate button up top! 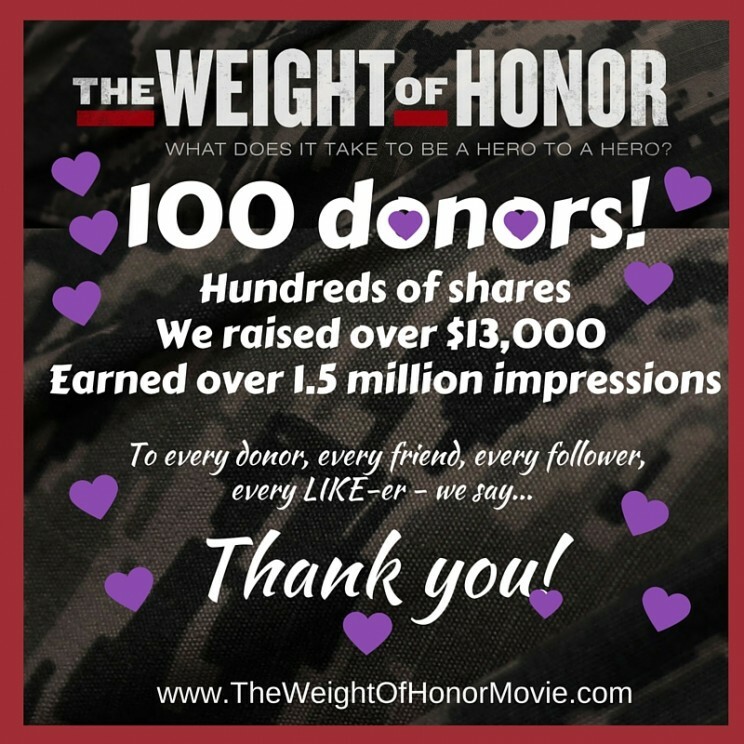 The more we raise, the faster we can finish and share the completed film with America! Thank you again for your generosity of time, spirit and/or dollars. We appreciate everything you have given us.